Bay View in Hunmanby Gap, near Filey, Yorkshire sleeps 6 people. Bay View near Filey is designed with the living space on the first floor; Bay View boasts spectacular panoramic sea views. French doors lead from the living room to a wonderful balcony where you can enjoy the sea views and the wonderful sunrises and sunsets. This detached, Swiss-style chalet is very spacious with large grounds and a lawned area for the children to play in. It lies in a quiet location with a beach and café just down the lane. With over 5 miles of golden sands, the beach is lovely and flat, making it perfect for children. Walking in the area is fantastic with wonderful clifftop walks right along the east coast. The Cleveland Way is also close by, so there’s no excuse not to put those hiking boots on. You can walk down to Flamborough Head and Bempton Cliffs, home to the RSPB bird sanctuary where you will see puffins in their natural habitat. Further along the bay is the town of Filey, a very traditional quaint seaside resort with restaurants, bars and shops. Within a short drive, you can be on the North York Moors or the rolling hills of the Yorkshire Wolds, the inspiration for David Hockney’s paintings. Further north, there’s Scarborough, Robin Hood’s Bay and Whitby, all very different but well worth a visit. There are many popular market towns in Yorkshire, with Beverley, Malton, Pickering and Driffield just a short drive away. The beach is 300 yards from Bay View near Filey. With the shop 1 mile, and the pub & restaurant are ¾ mile from Bay View. Bathroom: With free-standing bath, shower attachment, toilet and heated towel rail. First Floor: Living/dining room: With wood burner, 42 Freesat TV, DVD player, CD player and French doors leading to balcony. Night storage heaters, oil heaters, electricity, bed linen, towels and Wi-Fi included. Initial logs for wood burner included. Travel cot and highchair available on request. Welcome pack. Enclosed garden with patio and garden furniture. Large balcony. Bike store. Private parking for 3 cars. No smoking. Holidays at Bay View run from Friday to Friday. Pets allowed at Bay View. Bay View is in North Yorkshire; should you be on the lookout for a special offer, you can find all the special offers in North Yorkshire. It's always worth checking to see what is on offer at the moment. 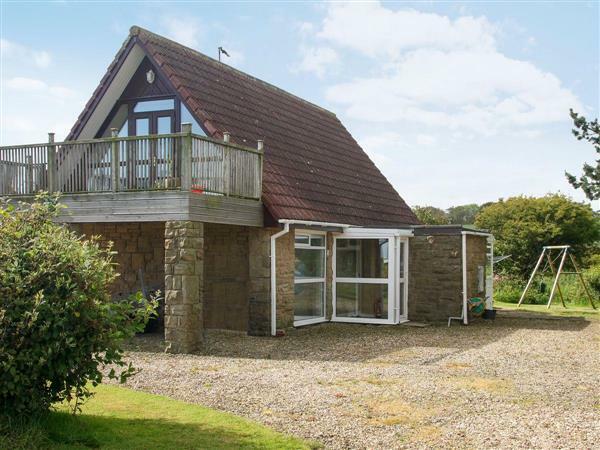 Do you want to holiday near Bay View (UK2316), you can see other cottages within 25 miles of Bay View; have a look to find your perfect holiday location.